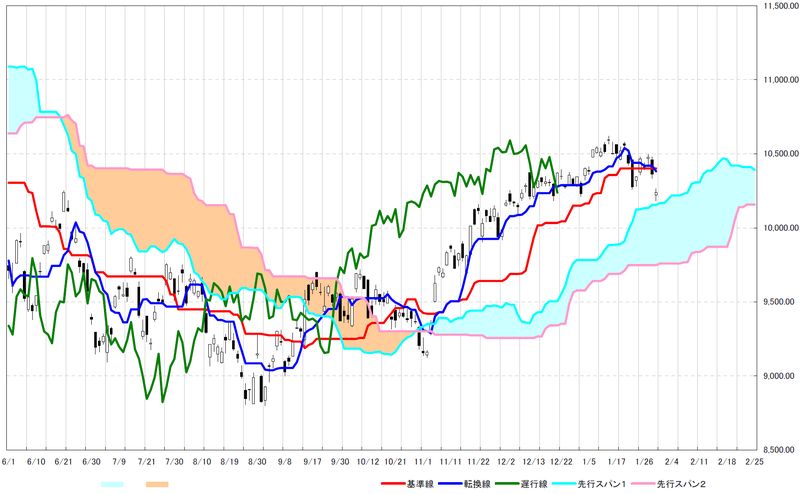 日経２２５日足。下落トレンド入りか？否か？/Nikkei255 Daily. 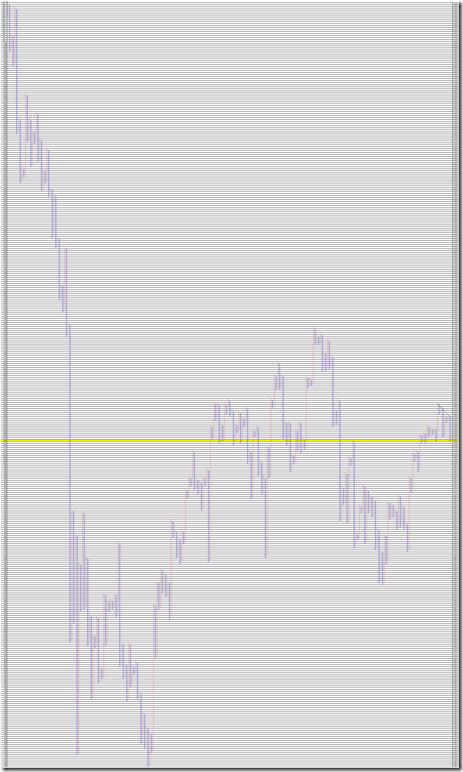 Down side trend may come or not? 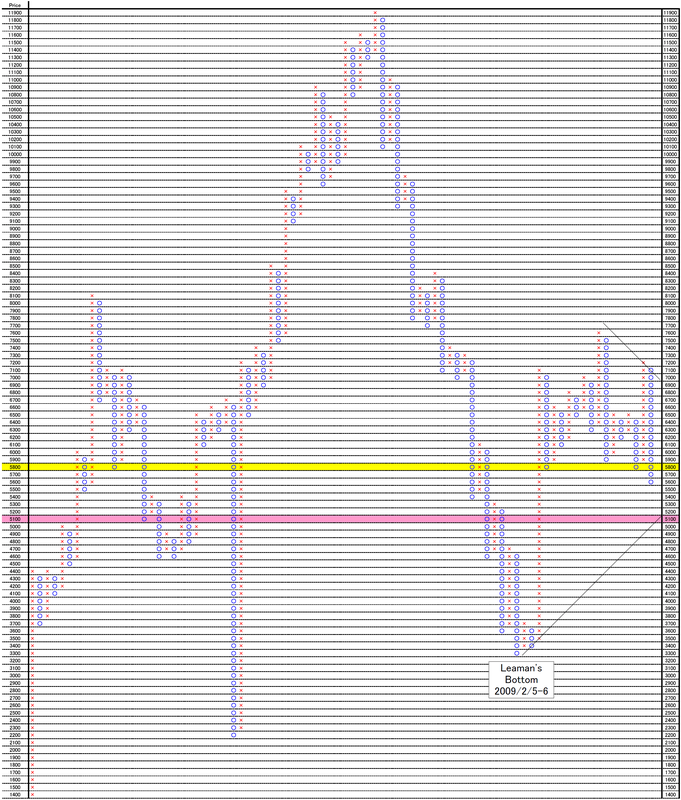 Today’s report is Nikkei 225. And “CHIKOU” line cuts the price. This may suggest trend may change. 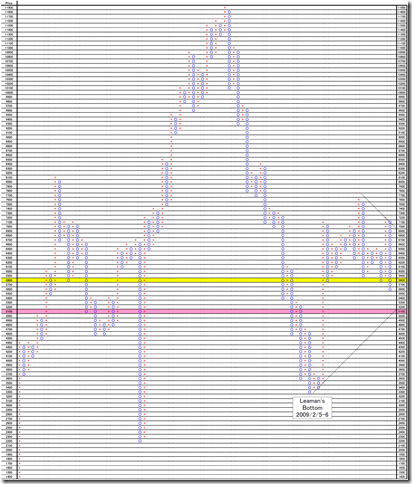 Next is 20 price change and 3 box reversal close price’s Point and Figure chart. 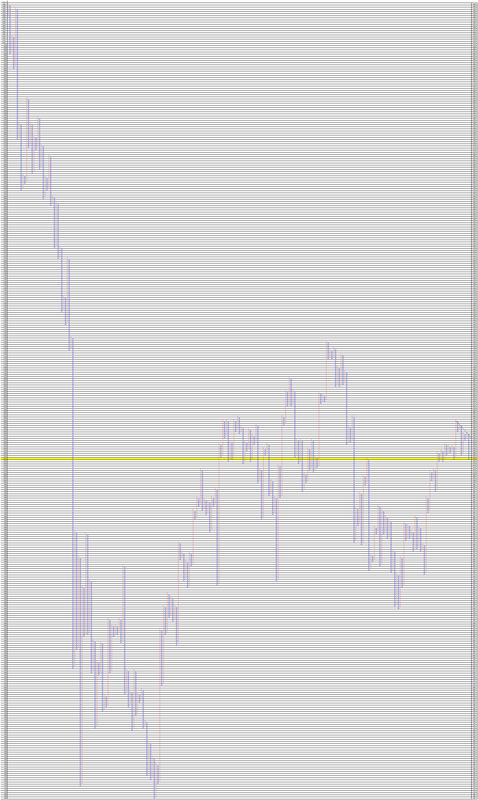 Today, the price was stopped at 10220 point. But if the price cuts this rate, trend may be change. 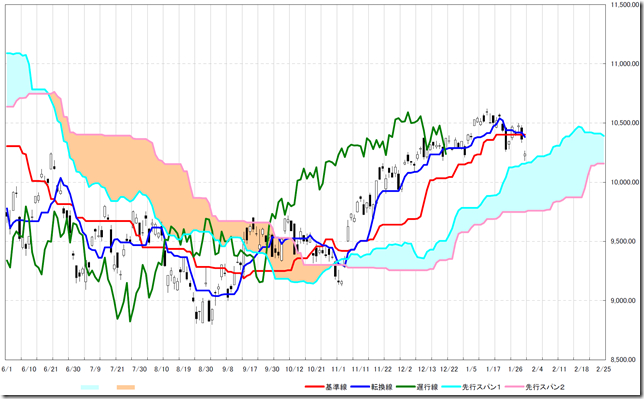 On the other hand, if the price cuts over 10480yen, bull trend is still going on.